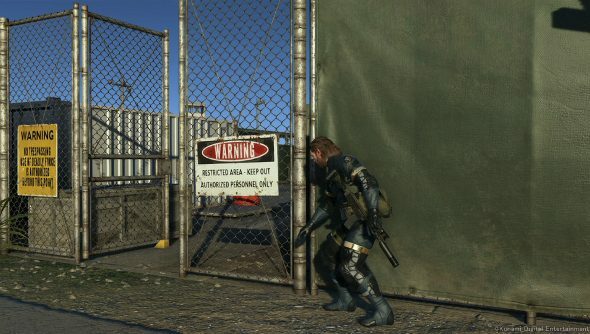 Metal Gear Solid V: Ground Zeroes, the short and sweet prequel and set-up to The Phantom Pain will be the first MGS game to come to PC in quite a long time. And according to publisher Konami, it will be coming quite soon. Snake and his glorious posterior will be gracing our platform on December 18th – what a lovely Christmas present. Ground Zeroes will launch on Steam and will support fancy 4K setups. For those of us not living on the cusp of the future, we’ll at least be able to enjoy the increased number of simultaneous light sources, models and shadow resolution. Snake’s behind will never have looked so good. The Phantom Pain will launch next year, and it would be rather nice if we could get a simultaneous release, but we’ll have to wait and see.